Is there an age cutoff to apply adult formulas for GFR estimation in children? Estimation of glomerular filtration rate (eGFR) using a common formula for both adult and pediatric populations is challenging. 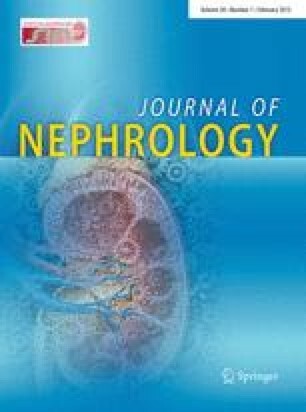 Using inulin clearances (iGFRs), this study aims to investigate the existence of a precise age cutoff beyond which the Modification of Diet in Renal Disease (MDRD), the Chronic Kidney Disease Epidemiology Collaboration (CKD–EPI), or the Cockroft–Gault (CG) formulas, can be applied with acceptable precision. Performance of the new Schwartz formula according to age is also evaluated. We compared 503 iGFRs for 503 children aged between 33 months and 18 years to eGFRs. To define the most precise age cutoff value for each formula, a circular binary segmentation method analyzing the formulas’ bias values according to the children’s ages was performed. Bias was defined by the difference between iGFRs and eGFRs. To validate the identified cutoff, 30 % accuracy was calculated. For MDRD, CKD–EPI and CG, the best age cutoff was ≥14.3, ≥14.2 and ≤10.8 years, respectively. The lowest mean bias and highest accuracy were −17.11 and 64.7 % for MDRD, 27.4 and 51 % for CKD–EPI, and 8.31 and 77.2 % for CG. The Schwartz formula showed the best performance below the age of 10.9 years. For the MDRD and CKD–EPI formulas, the mean bias values decreased with increasing child age and these formulas were more accurate beyond an age cutoff of 14.3 and 14.2 years, respectively. For the CG and Schwartz formulas, the lowest mean bias values and the best accuracies were below an age cutoff of 10.8 and 10.9 years, respectively. Nevertheless, the accuracies of the formulas were still below the National Kidney Foundation Kidney Disease Outcomes Quality Initiative target to be validated in these age groups and, therefore, none of these formulas can be used to estimate GFR in children and adolescent populations. All the authors declare no competing interests.